With brick-built numbers, tank treads on the cannon, and truly complex SNOT on the cockpit, Rob’s gunship is an amazing LEGO creation. The fact that it’s inspired by Homeworld is just a minor bonus. Best tip of the week, Carter! There IS a Lego Homeworld game. 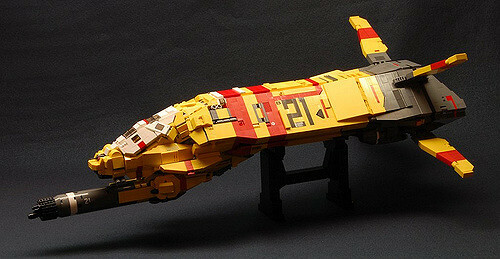 Some dude did a conversion or patch or something using Classic Space Lego ships. It was a mod called Brickspace for HW1. The site linked to from the CSF post (like two years ago- brickspace.net) appears to be down. Google will probably be your best bet. Oooooooohhhh! 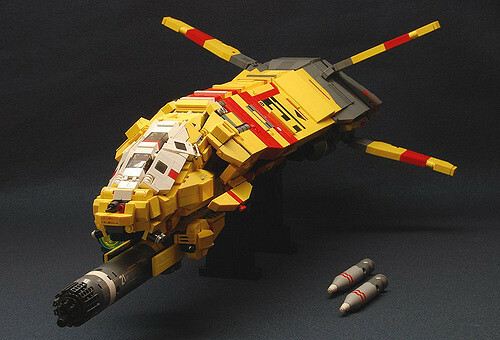 Yeah, I remember Brickspace — just never knew it was a Homeworld mod. To comment on the MOC…I love this. Absolutely cannot wait to see it in person sometime. ^ Thanks Zach! I’ve seen so many people use Dasnewten as his last name that I assumed. Fixed.